Want to sell faster than your closest competition? Price your home just under their price. You might get multiple bids — even in the worst markets — and they’ll bid up the price over what it’s worth. It’s risky but it could be the best thing you do to get your home sold for top dollar. By simply taking half of everything out of closets, drawers, pantries and cupboards, it will look like the home has tons of space! Maximize the light in your home. Let the light shine in! Take down the drapes, clean the windows, change the lampshades, increase the wattage of your light bulbs and cut the bushes outside to let in the sunshine. Do what you have to do make your house bright and cheery, Buyers will notice! Not everyone loves dogs., It’s best to clear out any signs of pets during an open house or showing. People might be allergic and you’ll never offend anyone by NOT having animal stuff around. Quick fixes before selling always pay off. Home improvement projects are tricky so ask your Realtor® about the best upgrades to try and those to leave alone. I’m not saying make it look sterile but no one wants to see family photos, your kids drawings on the fridge or your impressive mallard duck collection in the den. Clear these things out and make it as neutral as possible. You’re not actually selling your house, you’re selling your kitchen. Buyers will look at your kitchen first and foremost and it has to be amazing! The fastest, most inexpensive kitchen updates include painting and new cabinet hardware. Use a neutral-color paint so you can present buyers with a blank canvas where they can start envisioning their own style. If you have a little money to spend, buy one fancy stainless steel appliance. Why one? Because when people see one high-end appliance they think all the rest are expensive too and it updates the kitchen. I tell my sellers to not make any mess that can’t be totally cleaned up in 30 minutes or less. 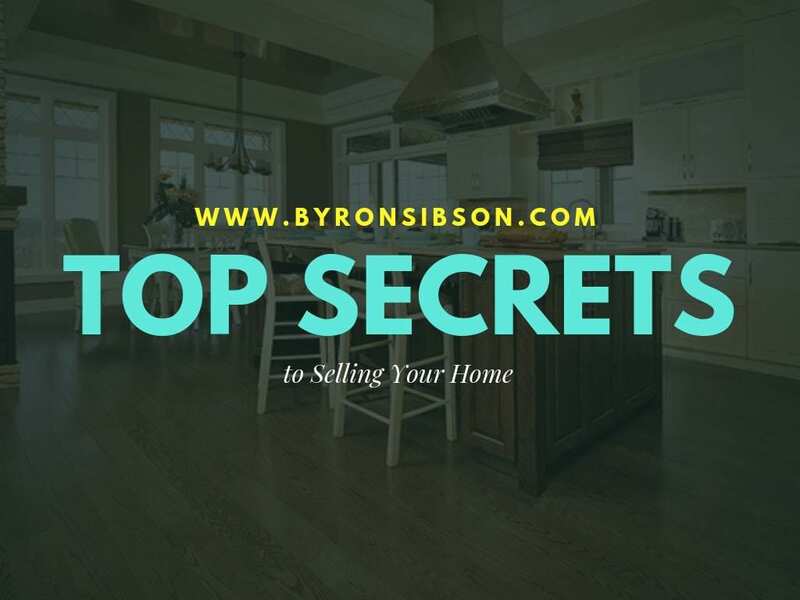 Be stage ready, which is hard to do if you sit on the market for a while, but the faster you do thing for the buyer, the quicker it will sell. Curb appeal, that first photo, the smell when they enter the house; all these things create the first impression and buyers will usually tell in the first 10 seconds whether they like your house or not. Make them linger, love, and want to buy the house by nailing that first impression.